Now we are getting deep into the second half of the 18/19 season, talk, as always, is starting to turn to the rumour mills. Talks of new signings, big players on the move, new boot releases and next season’s kit deals are everywhere and whilst most of it will be simply hearsay as usual, it still gets us hella excited. Nobody loves gossip more than a football fan; how many office hours have spent whittled away nattering about potential loan signings, what next seasons kit is going to look like or which struggling team will be recruiting Sam Allardyce? One of the biggest rumours we have been hearing surrounding Arsenal football club is that since the club have parted with long-term kit manufacturer Puma in favour of a deal with fellow Germans adidas, we may very well be seeing a remake of their famous ‘bruised banana’ kit, produced by adidas in their stint at the north London side between 91-93. Fashion has a tendency of coming back around. Sometimes it comes around like a bad smell, sometimes it reappears in our lives like an old friend. The retro 90’s kits became a bit of a joke once the noughties hit us. We would laugh at the awful colour schemes and outrageous designs as if everyone in the 90s were suffering from some sort of shell-suit induced hallucination. But now we find ourselves in 2019, and 90’s kits are suddenly starting to look attractive again. It’s like we broke up with a toxic ex only to find they had reinvented themselves in the past 20 years and now we are attracted to them all over again. The question is, will it all end in tears this time or are the 90s well and truly back in our lives? 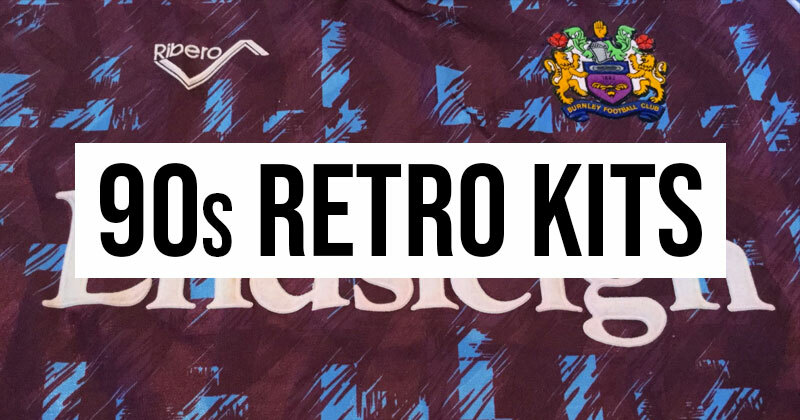 Let’s take a look at some of the standout 90s kit designs that we think should see a remake alongside the ‘Bruised Banana’. Fans have been calling out for the club to make use of the famous green and yellow design once again for an away or even a third-choice kit. Could we be about to see those wishes fulfilled next sometime soon? Image from Global Football Shirts. Burnley went through many different coloured kits before adopting the claret and blue in 1910. 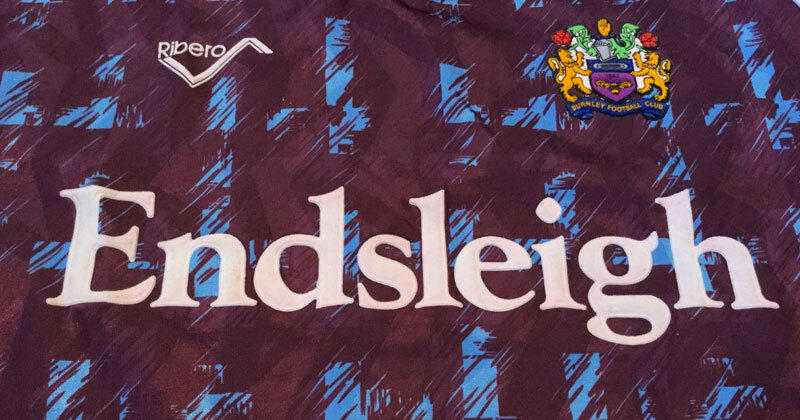 Most of their kit designs were minimal, to say the least; that was until the day Endsleigh took over as their official kit sponsors in 1988; from there, it seems, things took a very drastic turn. Spall, Ellgren, Ribero, Mitre, adidas and Super League all produced kits for the North West team through the 90s, but their pinnacle had to be the Ribero 1991-1993 rendition. The kit itself blended claret and blue on both sleeves and body where once the two were kept separate. The colourway looked like a painting apprentice’s attempt at a stone rubbing; it’s eye catching to say the least and definitely a little retro gem. 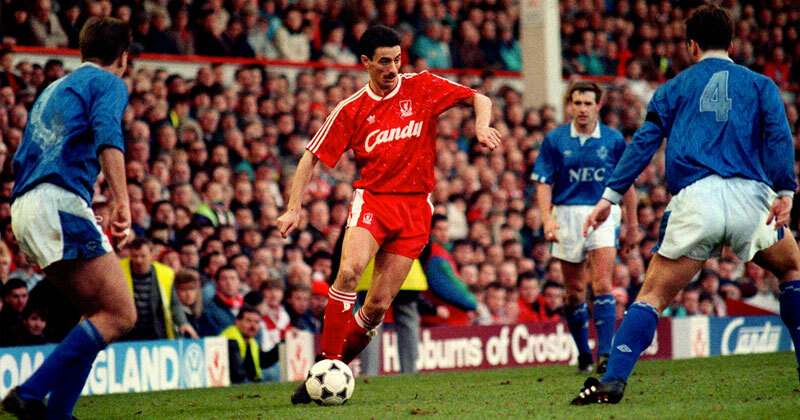 Whilst the 90s were generally dominated by the also iconic Carslberg sponsored Liverpool kits, it is the 1991 Candy kit, with the classic adidas trefoil logo, that everyone wants to get their hands on these days; mostly because it was also worn in the 89-90 season when Liverpool lifted their last league title. An original Candy kit is like gold dust these days; the famed white scratches and jagged white-tipped peaks of the design have cemented themselves as a firm fan favourite and supporters are desperately craving a similar design might make it into the minds of the New Balance team who currently produce their kits. Oh brother, this one was a doozy. 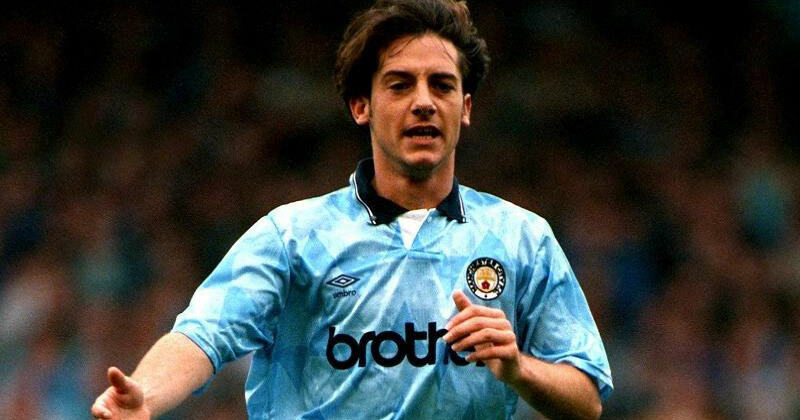 Brother were Manchester City’s kit sponsor from the late 80s until the late 90s and in that time the Umbro kits donning their sponsor were a wildly varying collection of shirts. Umbro had been making the Cityzen’s kits since the early 70s and had never really ventured from the classic all blue colourway. That was, until the 90s hit. This was the time when Umbro started to experiment with new patterns, such as the diamond patterned 87-89 kits, the triangular hooped 89-91 kits and the wild zig-zag patterned kits from 91-93. The 1991 kit with the alternating triangles is the pick of the bunch, however. We could definitely see this kit making a comeback, or at least some sort of take on the original. Remember the days when short sleeves went way past elbow and the best players in the world wore shirts that fit them like a toddler wearing their dads jumper? 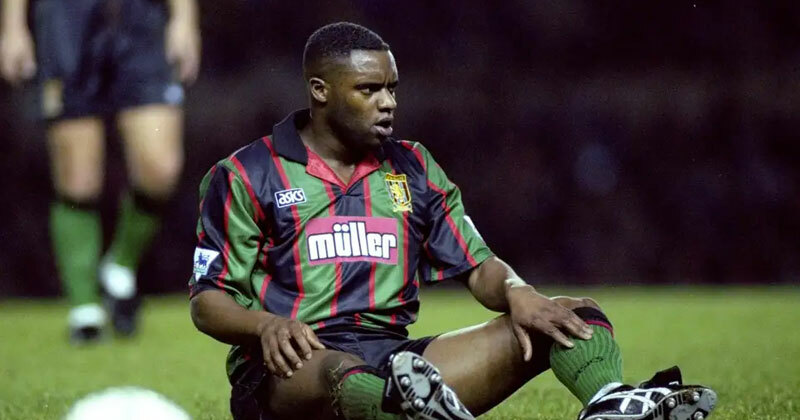 90’s kits weren’t just badly fitting, they were also badly coloured, and nothing sucked the colour out of a beautiful day quite like the Aston Villa away kit for the 94/95 season. The thick black and green lines, bordered with red weren’t exactly matched very well, and the thickness of the lines made for one of the most hideous tops that was a laughing stock for years after. But times change and now thick contrasting colours are okay again. We don’t think we’ll be seeing a remake of this famous kit any time soon, no matter how retro it looks. 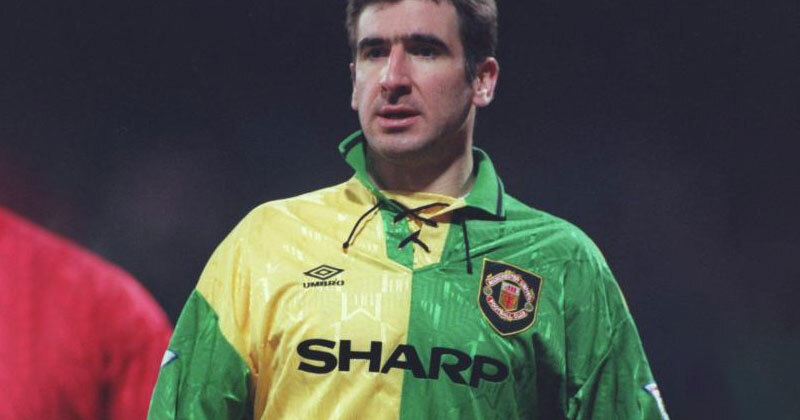 If you’re a huge retro fan and want to grab yourself a great deal on a whole bunch of 90’s inspired premier league football kits, check out what we have on offer at FOOTY.COM today.